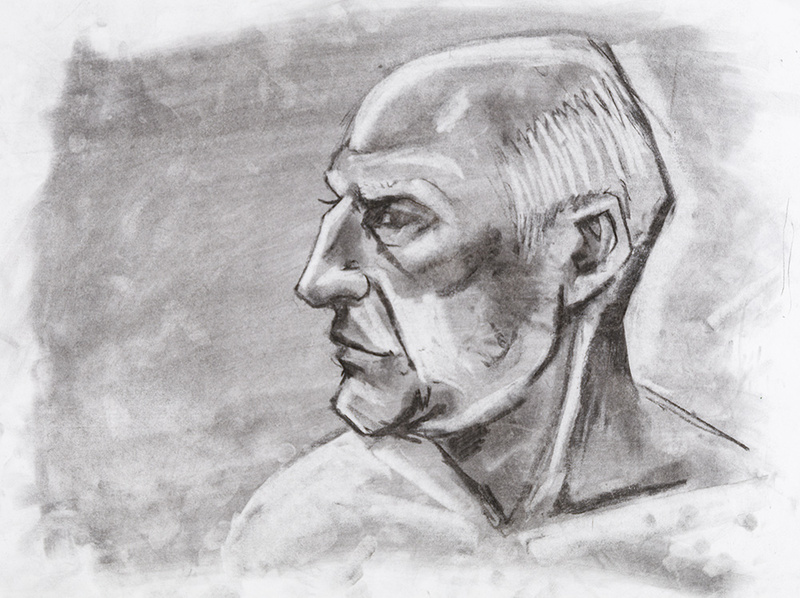 Charcoal Powder is a pure artist quality material that is ideal for quickly toning large areas and rendering light and dark values in tonal areas. It is traditionally used in drawing and can be applied, erased and manipulated in a variety of ways to achieve great results. 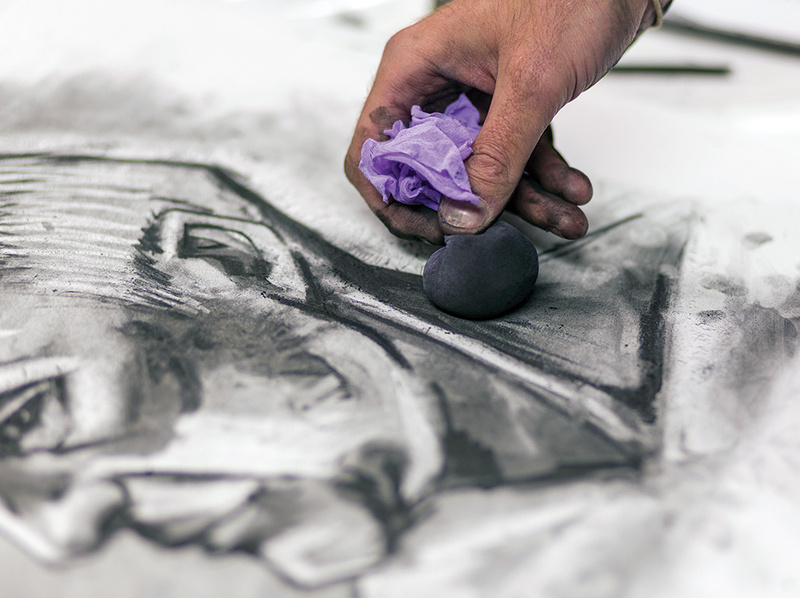 Use with willow or compressed charcoal, or apply with a paint brush when combined with a Binder Medium. Note: This product should be used in a well-ventilated area. Dust masks are recommended when making pouches or using directly from the jar. 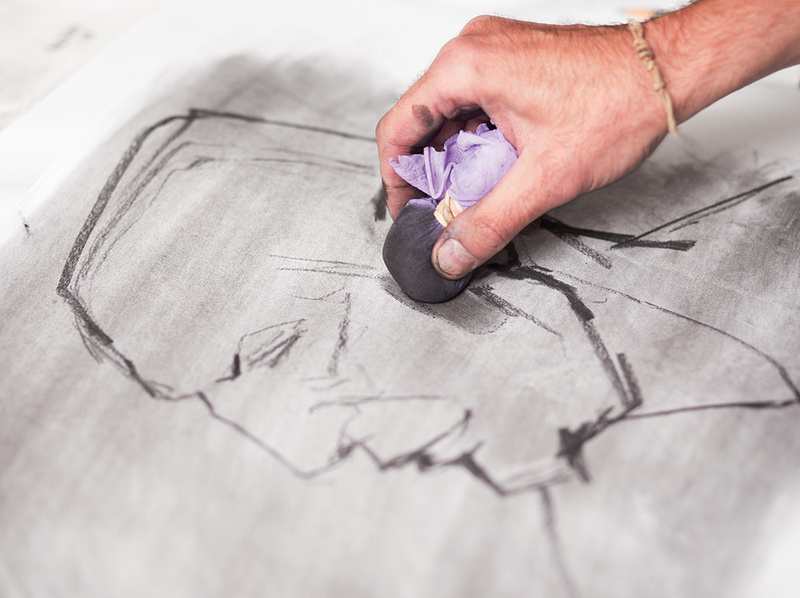 All charcoal should be sealed with a spray fixative, which should always be done outdoors. (approx. size 15 x 15 cm). Lay the stocking pieces flat on the table, putting each piece directly on top of each other. This creates a sieve or layered filter, which allows the appropriate amount of charcoal to be applied. Place one large table spoon (approx. 60g) of powder onto the centre of the layered stocking pieces. Bring together corners of stocking and twist. 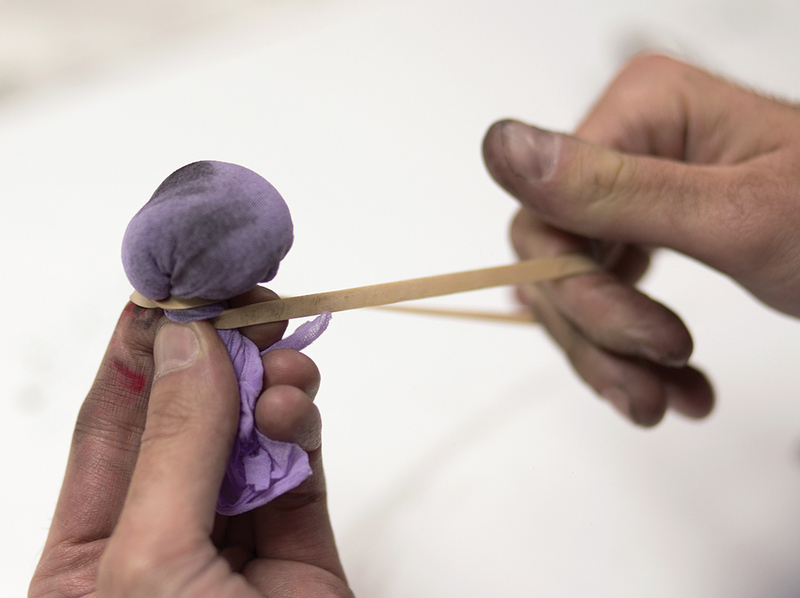 Secure tightly with a rubber band. paper to agitate the powder through the layers of stocking so it can be most effectively applied. 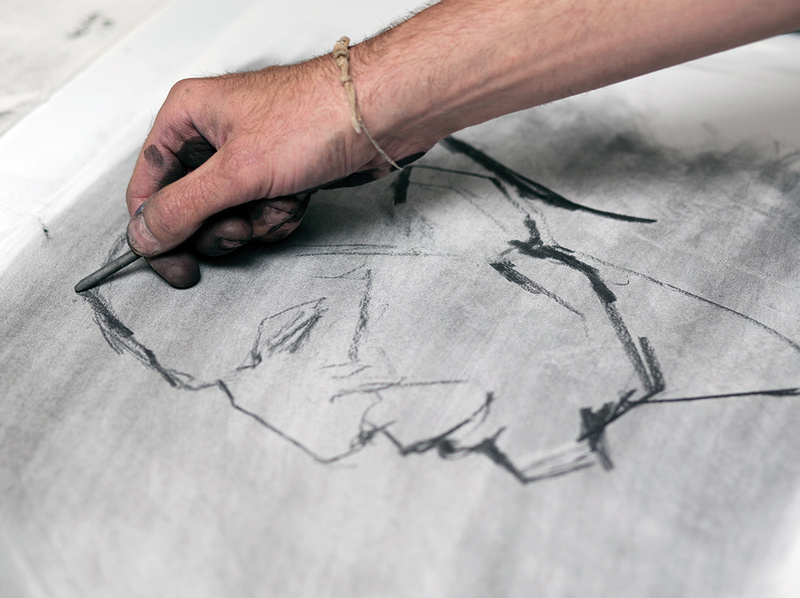 Once you have drawn your contours, you can start to block in large areas of tone using the pouch. Finally, darker tonal details can be added, to really make your portrait pop. 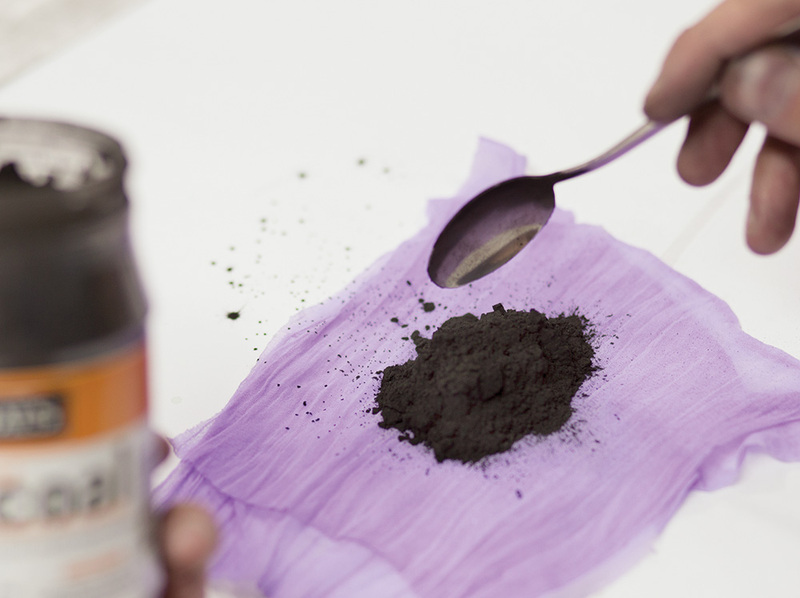 Charcoal Powder can be mixed with Binder Medium until it’s a paint-like consistency. 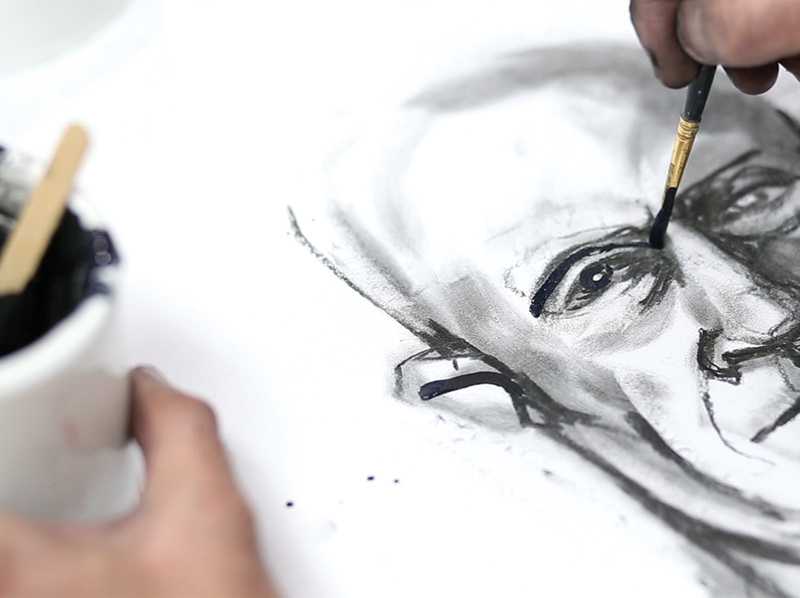 Use this to paint on dark, fine details, that cannot be readily achieved with charcoal sticks.